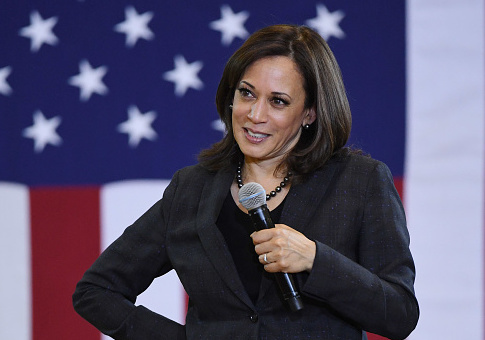 But the left wing of the Democratic Party has had little patience for these gestures, attacking Harris for her record as a tough-on-crime prosecutor when she was state attorney general. This view is not helped by recent flip-flops, including Harris's opportunistic-seeming reversals on legalizing prostitution and marijuana. The enormous number of Californians sent to state prisons while Harris was attorney general—many of whom were prosecuted by either her office or the office of an inferior state attorney who reported to her—indicates that the senator's racial-progressive veneer may be as thin as her critics argue. To determine the figures reported above, the Washington Free Beacon counted the total number of new admissions (as opposed to returning parole violators) to the CDCR-administered penitentiary system between 2011 and 2016. These data were obtained from the now-discontinued "Characteristics of New Admissions" report series, as well as a request to the CDCR itself. The race figures above almost certainly undercount the total number of offenders sent to prison on Harris's watch. In 2011, following a federal court's finding that California's prisons were dangerously overcrowded, the state implemented "Public Safety Realignment," a program which filtered "low-level" offenders into county jails. Harris's campaign did not return a request for comment. This entry was posted in Politics and tagged 2020 Election, California, Kamala Harris, Prison. Bookmark the permalink.